Mobilia is a national specialty museum for road traffic, offering lots to see and experience for the whole family. During the summer season, small motorists can learn about driving and traffic safety using the pedal automobiles, buses and lorries of the Rahtarit Traffic Park. There is a sand playground area for the youngest children. On summer days, you can enjoy a delicious buffet lunch on the sunny terrace of the museum’s café-restaurant. The area also includes a beach and a versatile museum shop. 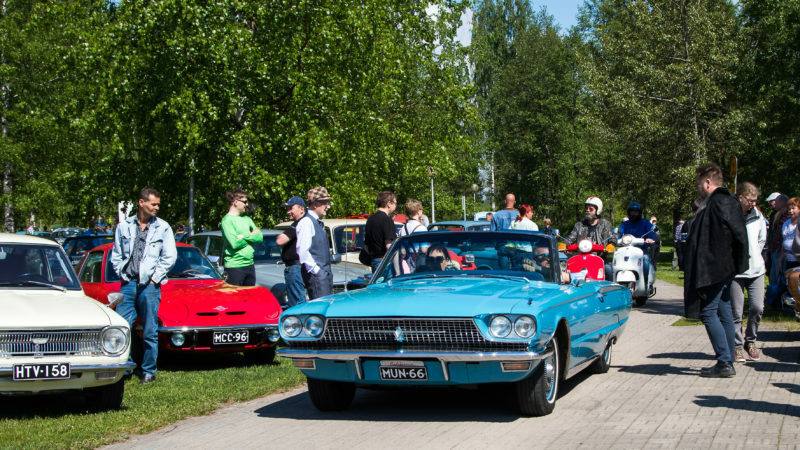 The Vehoniemi Automobile Museum features interesting and beautifully restored motor vehicle from various decades. Motorcycles have their own section in the exhibition presenting Finnish motor vehicle history. In the café, you can taste the renowned spoon doughnuts, white chocolate and rum cakes as well as baked goods for special dietary needs, including salty treats. The toyshop Leilan Lelukauppa offers souvenir miniatures from cars to motorcycles, decorated porcelain, mugs, jugs, etc. The observation tower offers spectacular views of the national cultural landscape of Lake Roine and Lake Längelmävesi.